Darren Hillock produces a blog, Get Around Guide, that I read to stay up-to-date. 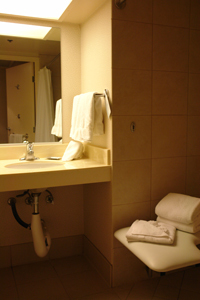 A recent post covers the globalization of Universal Design in the backpackers travel niche. You saw it in Kerry & Jane Winberg's revolutionary Tasmanian circuit of accessible backpacker accommomdations. Starting with their flagship venue in Launceston, Tasmania I had the pleasure of visiting their porperties two years ago. Fast forward to October 2006 and read about Northwest Portland International Hostel in Portland, Oregon. A partir de quinta-feira (02/11), 22 jovens portadores de necessidades especiais come?am a trabalhar nos postos de informa? ?es turísticas da Bahiatursa espalhados por Salvador. Eles fazem parte do Projeto Adolescente Aprendiz, apoiado pelo governo estadual, que está aproveitando-os no atendimento ao turista e em muitos outros servi?os. Continue reading Turismo Brasil: Postos de informa? ?es empregam portadores de necessidades especiais. Valencia, Spain initiated a project for travelers with visual impairments. The outdoors present some challenges for travelers with mobility impairments. Darrel Von has a vision for meeting the challenges -- and having a good time! The culmination of his dream is Big Bear Countree in Carlton, Oregon. Browse his site for Darrel's history, stories, and links with a focus on outdoor adventure. Continue reading Big Bear Countree. When the Head Concierge himself asks me to post about an oversight in accessibility here at Rolling Rains I am ready to take a closer look at the values of his hotel. It happened as I was checking into the Arlington Hilton last week for the SeniorNet 20th Anniversary Conference. Henry, the night concierge, was there to assist me from the moment the taxi pulled up. Showing me to my room (which, for some reason - perhaps a case of mistake identity - was on the exclusive Club Floor.) In the process of getting settled he pointed out to me that, in spite of his repreated requests to the management over the year, the bathroom counter in the accessible room 726 was too low and I would hit my knees on it. Sure enough, I did. Several times! Continue reading Free Publicity for Hilton Hotels. Este espacio pretende facilitar el acceso a la información existente en Internet en relación con las necesidades de los discapacitados espa?oles, así como facilitar su integración social y difundir aspectos relacionados con la prevención de las minusvalías. Continue reading The Accessible City (A Resource in Spanish). Alan Rice offers a unique mode of travel to tourists in Hawaii. He is " the only official Segway dealer in Hawaii, he's already sold units to the Honolulu Police Department and the U.S. military, and hopes that more people will consider purchasing the device. "You can go outside, get on the city bus ... roll out and do your business, roll back in and go back home," he said. "So many physically challenged people are using these and getting out of wheelchairs, and it makes them feel alive." Some examples of Universal Design are the football huddle, originally created for players with hearing impairments, and foil seals on modern coffee cans, which replaced tops that were hard for people with arthritis to open with can openers. Continue reading Universal Design Competition at University of Tennessee Center for Universal Design. Michael Martinez writes in the San Jose Mercury News that the Alamo and Riverwalk make for good destinations for wheelchair users visting San Antonio, Texas. Continue reading Remember The Alamo?. Continue reading There Is Room at the Inn: Inns and B&Bs for Wheelers and Slow Walkers. Universal Design made inroads into the building policy of Singapore last month. Continue reading Singapore & Universal Design. Usability, accessibility, and Universal Design are fairly predictable topics, or at least side conversations, at a techie event like the one here in Monterey, California -- Internet Librarian. I didn't expect to discover something relevant to the Rolling Rains Report in a workshop on Mashups but here it is: Travel & Tourism data sets at the US Bureau of Economic Analysis. Speaking at the SeniorNet 20th Anniversary Conference in Arlington, VA provided an unexpectedly rich opportunity to review travel accessibility. Jetting directly to Internet Librarian extended the adventure. On to speak at AARP's Life @ 50+ on Thursday. Continue reading Crisscrossing the USA. Below is a reproduction (without graphics) of the May 1999 Italian study on accessible tourism. The data which this work is based on are taken from the survey carried out in the period between 31 May – 2 July 1999, by the Iter company commissioned by ENEA, as part of the STARe “Study of the Demand for Accessible hTourism”. This enquiry is part of the project “Italia per Tutti” promoted by the Ministry for the Industry (Department General for Tourism) and realised by ENEA as a tool for the promotion of holidays for “tourists with special needs”. The complete results of the survey can be found in the ENEA site at the following Internet address www.italiapertutti.it/i mprenditoria.htm . Continue reading Italian Study: Accessible Tourism. Singapore's Building and Construction Authority is poised to enact an important affirmation of Universal Design in March 2007. Continue reading Singapore Welcomes Universal Design. From "Holiday Care" to "Tourism for All"
In 1979 the organization Holiday Care was formed in the UK to anticipate the growth of Inclusive Tourism. Changing its name in 2004 to the local monkier and movement designation for accessible tourism, "Tourism for All," it continues to grow its services and web presence adding robustness to the pan-European movement to integrate the seven principles of Universal Design into the leisure and travel industry. The existence of industry-oiented online advice and additional consulting service such as this is essential to tourism far beyond the borders of the European Union. Thank you Tourism for All - UK! Continue reading From "Holiday Care" to "Tourism for All". Continue reading Designing for Your Lifespan. Recognizing that the majority of Americans want to remain in their homes as they age, the American Society of Interior Designers has established a volunteer council of noted experts to look at how design solutions can enhance and support residents throughout the life span. The Council will draw upon its vast experience and networks of professionals to provide the ASID Board of Directors with recommendations on information, research and education efforts that the Society should undertake to better prepare designers and consumers to meet the challenges that come with the normal process of aging. Continue reading ASID Promotes Universal Design. and provides further contacts to assist organisations in moving forward. approach to providing access information, so that tourists can compare their options. as providing a complementary approach to existing actions. Continue reading Improving Information on Accessible Tourism for Disabled People. Continue reading Home Accessibility in Oregon State, USA. The Republic of Poland was at the United Nations with the presentation of Franklin Delano Roosevelt International Disability Award, an honour bestowed on a country that has promoted and protected the rights of their disabled population. The award was presented to Poland’s President Lech Kaczynski by Anna Eleanor Roosevelt, granddaughter of the late president, Franklin D. Roosevelt, at a ceremony held at United Nations Headquarters in New York, New York. Continue reading Poland Receives the Franklin Delano Roosevelt International Disability Award,. Continue reading Save the Date in 2008 - ICCHP. The coming of age of Universal Design on a populist level is the thrust of the argument behind Randi Bjorns''s article Accessible Design Turns A Corner: Baby Boomers are Among Those Grasping the Keys to Independence. "The disability movement had an advantage because it was so 'cross-cultural,' " Braddock says. "Disabilities can affect anyone at any time and at any level, and as a result it has attracted a fair amount of resources." Continue reading Universal Design in Homes Comes of Age in Oregon State. The Flint Michigan Parade of Homes include one using Universal Design principles this year. N.O.D.is calling on America’s mayors and chief elected officials to enter their communities in the sixth annual Accessible America awards competition, open to all U.S. cities and towns. Entries must be postmarked no later than October 31, 2006. Thanks to sponsors UPS and Wal-Mart, communities will compete for $35,000 in cash prizes. Entrants will showcase how their citizens with disabilities are participating in and contributing to local community life. Cambridge, MA, West Hollywood, CA and Austin, TX were the 2005 winners, surpassing dozens of outstanding entries from diverse communities nationwide. Continue reading Accessible America Awards: Call for Entries. This year, the National Organization on Disability awarded its $25,000 Accessible America first place prize to Cambridge, Mass. West Hollywood, Calif., won second prize -- $20,000 -- and Austin, Texas, won the third prize of $10,000. What does it take for these cities to win these awards? With an eye towards inclusion, New Mobility tracked down the main reasons these communities were winners, plus we threw into the mix two larger cities that we felt stacked up to the top two winners. MPS brings together community teams of leaders from the disability world and transportation industry to share information and strategies to improve access to transportation services in their communities. The MPS institute offers intensive training and planning activities that result in plans each team can take home to improve services in their communities. The training component of MPS is provided by industry experts serving as faculty for breakout sessions. Interspersed with the learning sessions are hands-on team working sessions. In a relaxed setting, Institute faculty facilitate an interactive learning environment where team members can openly discuss challenging issues and plan solutions. Continue reading Mobility Planning Services Institute from Easter Seals. The Eureka! 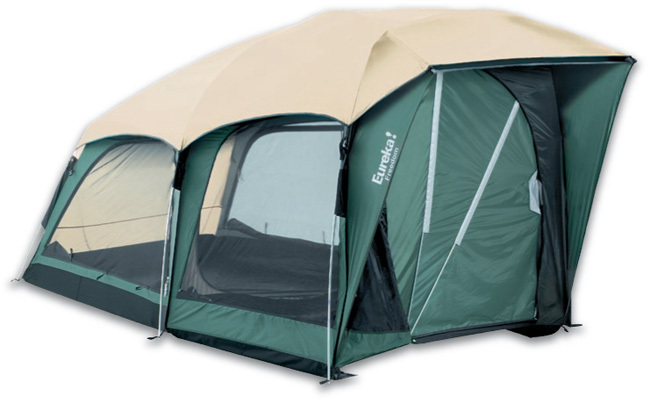 Freedom tent sleeps two and features a pole, sleeve and grommet design which allows easier set up from one side of the tent or from a wheelchair. It has a combination side entry door/window in the sleeping area that provides extra ventilation and allows for a side transfer to a cot. Its roomy vestibule provides room for wheelchairs, gear, chairs, or sleeping space for the family dog. The patent-pending zipper-less vestibule fan door opens easily and is operated with minimal dexterity and reach. To learn more about the Freedom Tent visit www.eurekatent.com or www.blueskydesigns.us." Susan Szenasy: "Making Waves: How the next generation is redefining design"
Metropolis magazine editor Susan Szenasy will be the featured presenter at La Roche College's 2006 Design Dialogue Series from 6:15-7:45 p.m. Oct. 25 at the Carnegie Science Center, on the North Side. 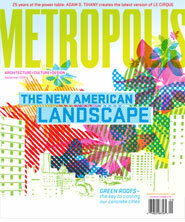 Szenasy has been editor-in-chief of Metropolis, the award-winning New York City-based magazine of architecture, culture and design, for 20 years. Her topic, "Making Waves: How the next generation is redefining design," will focus on issues of sustainability, ethics in design, universal design and a thoroughly integrated approach to design that will affect our future. The presentation is open to the public. Tickets are $30 for general admission, with $10 discounts for La Roche alumni and half-price tickets for students. Tickets can be purchased through the La Roche College Interior Design Department. Not only is Valencia, Spain making progess on public accessibility it is enjoying increased tourism. Cause & effect? To soon to prove but I'd bet money on it anyway. The Ministry of Tourism has presented the results of the study IMPACTUR (on the Economic Impact of Tourism) carried out in collaboration with Exceltur. One of the conclusions of the study is that the contribution of tourism to the GDP of the Community of Valencia has gone from 12.9% in 2003 to 13.8% in 2005, almost one point more in only two years. Inclusion as a feature of the means of transportation and built environment of travel destinations figures prominently in articles here at the Rolling Rains Report. The seven principles of Universal Design are a recurring theme. But what about the times when the destination is pristine and the purpose of a trip is to encounter unmodified natural surroundings? Is there a way to "be part of it" even when disability and geography seem to conspire to make that impossible? 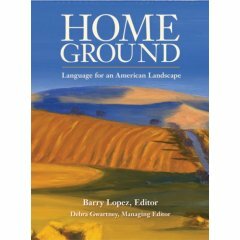 Without attempting to answer that question directly author Barry Lopez and managing editor Debra Gwartny illustrate the power of language to capture and engage as they discuss their new dictionary-style book, "Home Ground: Language for an American Landscape." A fascinating consequence of their collaborative effort with 45 writers to produce this work was the creation of a community inspired to renew the language of public discourse through the recovery of tradtional American folksonomy of place. Listen to an interview at KQED's Forum program. Greg Livadas profiles John Bateman-Ferry, Luticha Doucette, and Victor and Christopher Hilderbrant, on life post-disability in Rochester, NY. Doucette recently visited a new car dealership in Henrietta. They displayed a wheelchair symbol at one entrance, but it didn't have automatic door openers (which aren't required by the ADA). "Having that sign there is very misleading," she said. "When I see a newer building, there should be as much accommodation as possible. That frustrates me when they don't do that. "People who have disabilities want to get around like everyone else." Accessibility to cultural venues, tourism and leisure services for people with disabilities is still very limited, according to the Spanish Committee of Representatives of People with Disabilities (CERMI). CERMI states that “Guaranties of accessibility should not be considered as a matter of sensitivity or of an agent’s good faith, but more as a matter of fundamental rights which should be guaranteed by the Government through a binding and effective law”. Continue reading Spanish Committee of Representatives of People with Disabilities (CERMI). Universal Design Unites Arch Rivals? Well, maybe off the football field anyway! Purdue and Ohio State Universities learn together about Universal Design. There appears to be space for a presenter on inclusive Travel at the Tennessee Disability Mega Conference. Continue reading Call for Presenters: Tennessee Disability Mega Conference. Continue reading Accommodation in Newburyport, Massachusetts. Some people take sports to extremes! Meet Jimmy Goddard. Continue reading Jimmy Goddard and Mount Kilimanjaro. Suvarnabhumi Airport is Thailand's public embrassment. Continue reading Suvarnabhumi: The Airport That Crash Landed on Visitors to Thailand. It was inevitable in hindsight. The stonewalling began simultaneously with the Katrina floodwaters. Immediately following Katrina Rolling Rains readers worked with FEMA, manufactured home producers, and their trade association advising on housing & infrastructure accessibility. All that was necessary to make 100% of the manufactures homes produced for Katrina survivors accessible (and Visitable) was an adjustment to the fabrication template to widen doorways to 36 inches. Simple. Instead we have a legacy of needless suffering ending in Brou v FEMA 06-0838 providing only 5% access more than one year after the hurricane damaged a region of the US with a pre-disaster 24% disability rate. Continue reading Brou v FEMA 06-0838.
only a few days away. All submissions should be made by midnight on 5 October (GMT). Continue reading Include 2007 - Call for Entires. Gerontechnology Journal is the Official Journal of the International Society for Gerontechnology (www.gerontechnology.info). I have just returned from a business trip that did not allow time to write a travelogue while on the road. While away Wheelchair Dancer posted a troubling account of her recent travels at Too Gross to Touch. The Second International Congress of Tourism for All (2007). Continue reading Inclusive Travel Events in the EU: 2006 - 2007.